Lately, I have been busy gearing up for a busy holiday season. 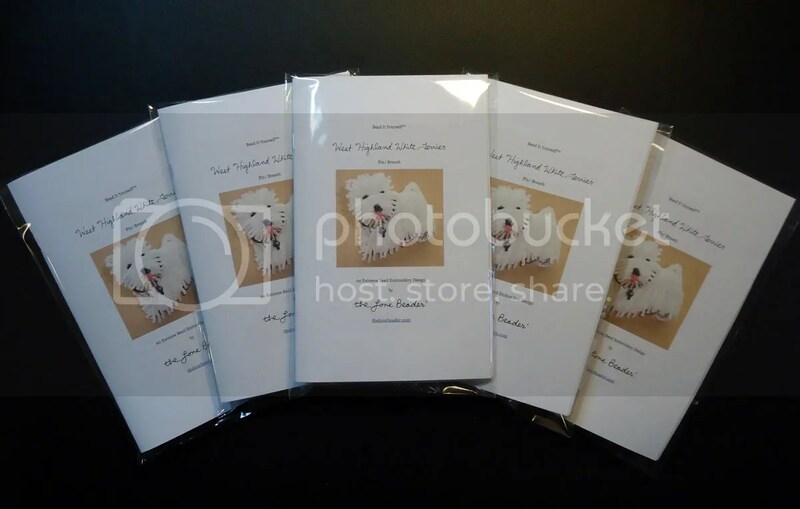 I have stocked my Etsy shop with more bead embroidery kits, cut out felt doggie shapes for beading, organized my work space, stocked up on shipping supplies and promotional items.. AND, I have also had some time to make new items! 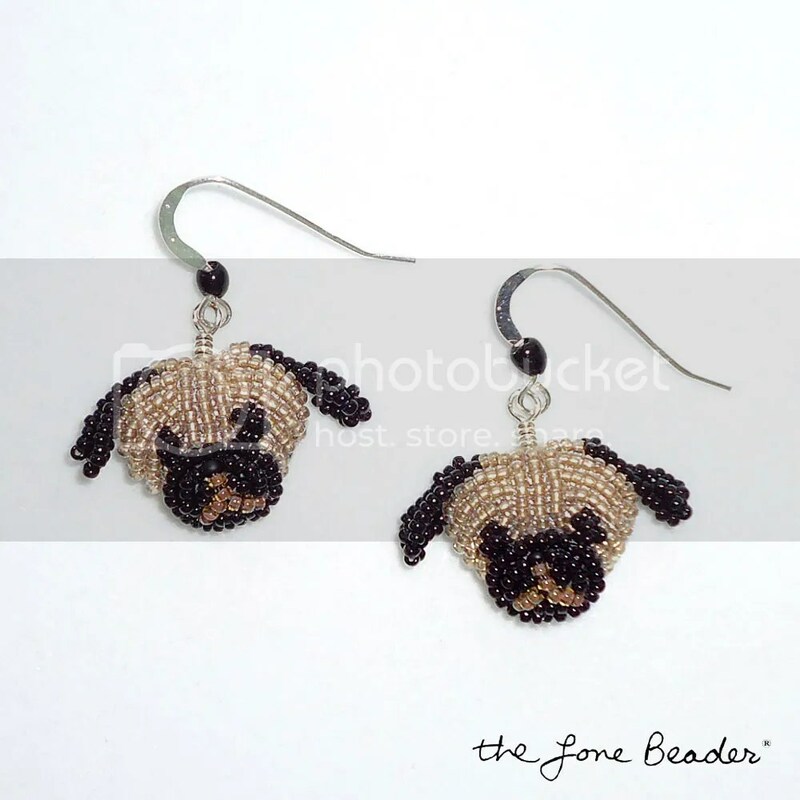 Check out these cute Pug Love dangly dog earrings! 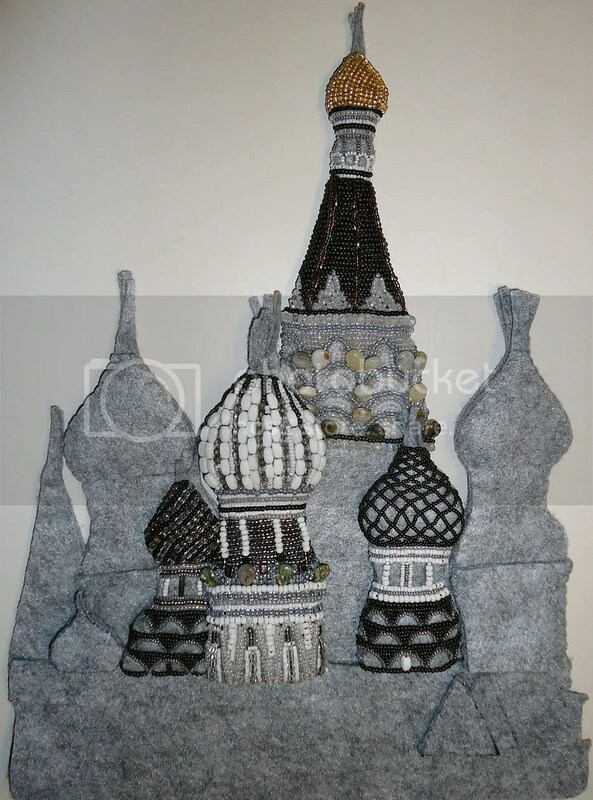 These were made by hand-stitching tiny glass seed beads to tiny piece of felt. 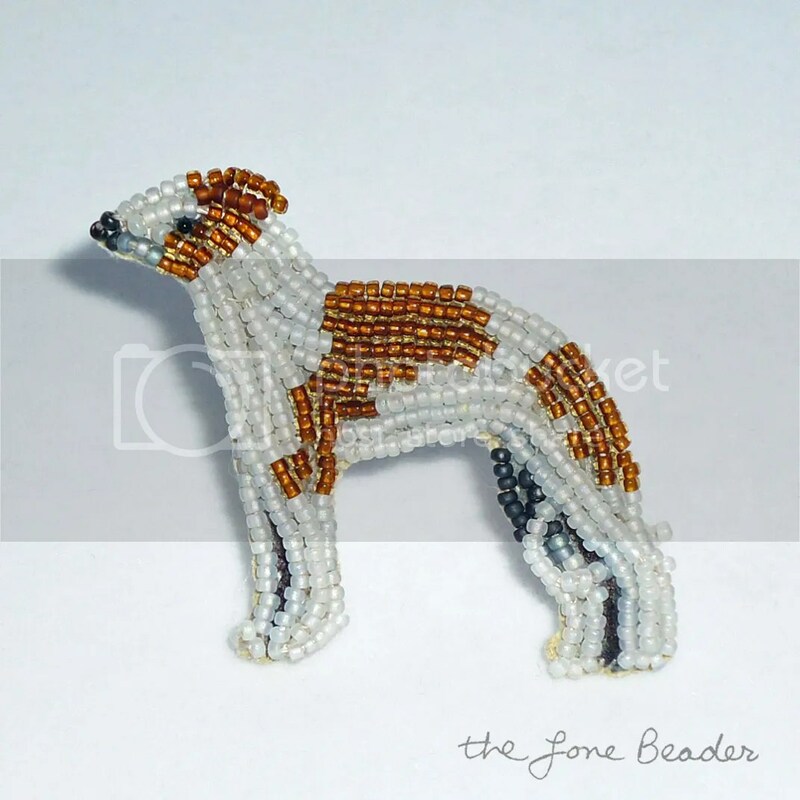 They feature sterling silver/onyx ear wires, and tiny sterling silver heart charms:) Also available is a new doggie pin – a brown and white beaded Greyhound pin! This piece is very small – so small that the pin just barely fit onto the back of the piece! 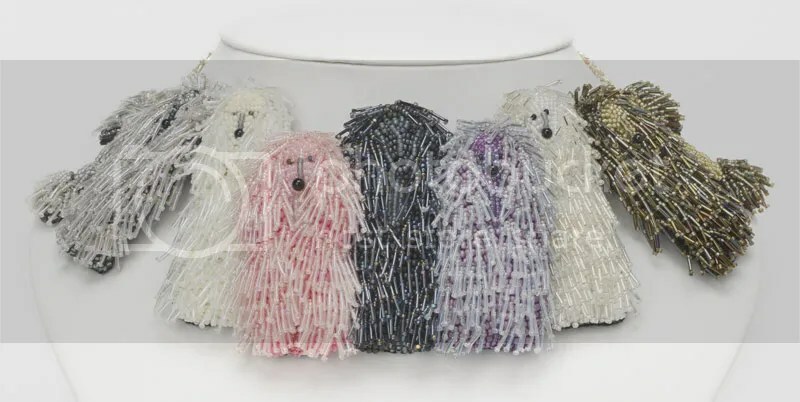 Please click the pics for more photos & details..
Oodles of Beaded Poodles & Pugs! 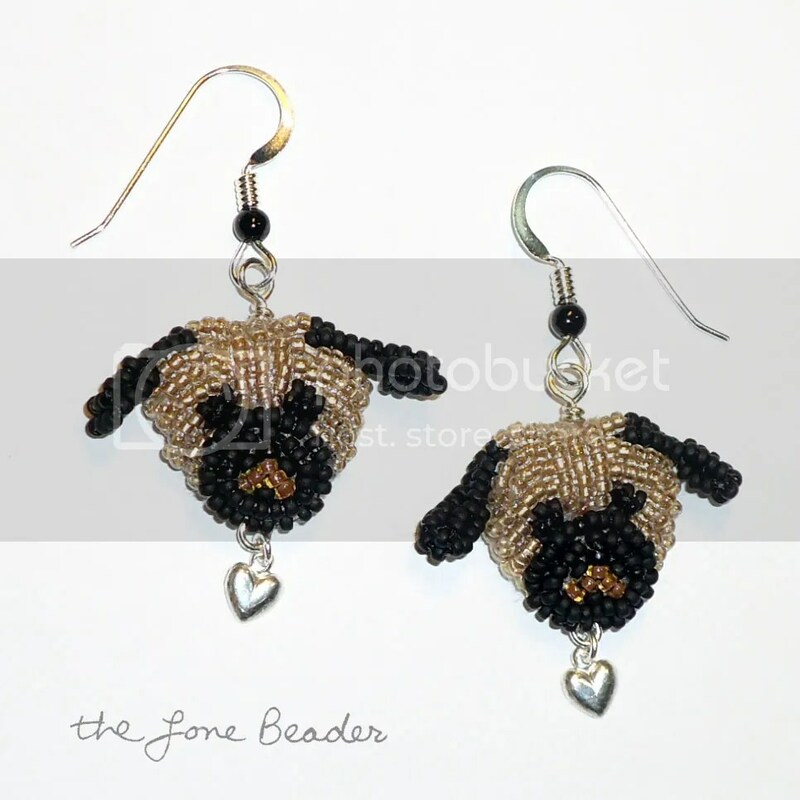 I have also created new beaded Pug earrings! These are very tiny. They were made with size 15 seed beads and sterling silver fish hooks. These earrings were made in a freeform peyote stitch technique – they actually move when you touch them. This pair of earrings sold VERY quickly. Currently, they are listed on Etsy as made-to-order. Please click the pics for more details. 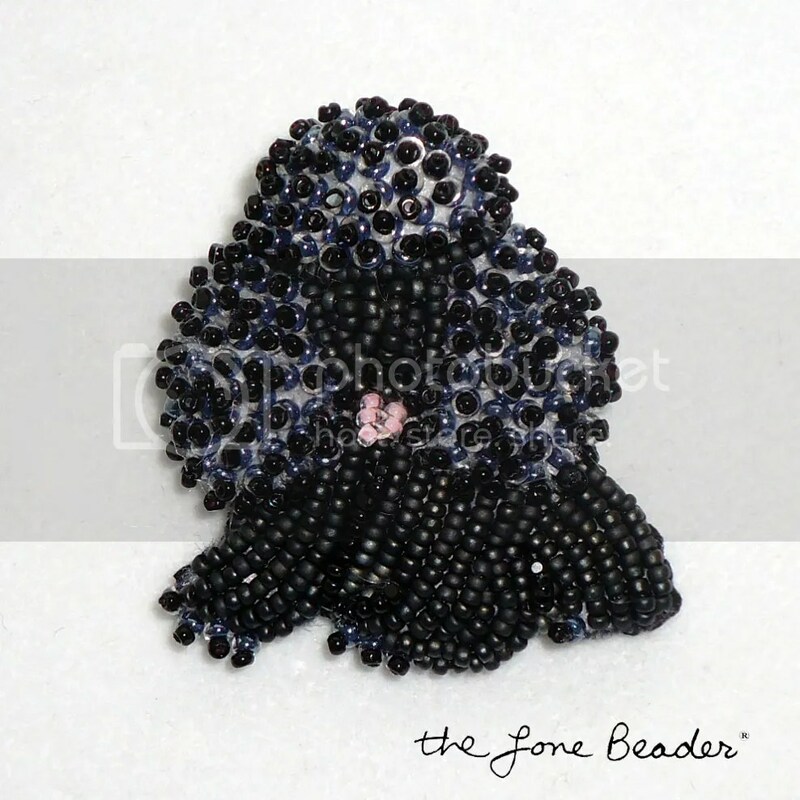 My latest beading kit is now available for sale on Etsy! 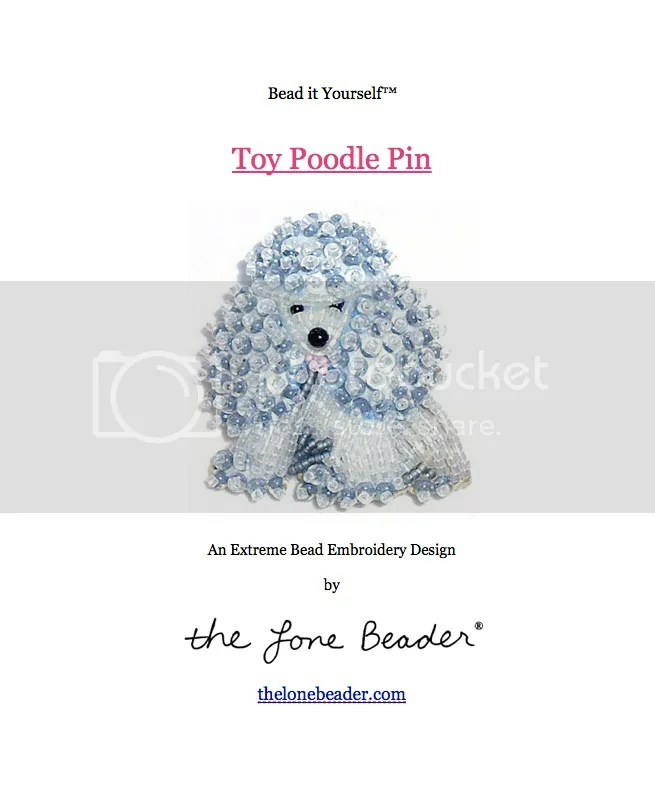 Make your own beaded Westie dog pin following my step-by-step instructions. Kit includes: instruction booklet & pattern, size 15 seed beads, swarovski crystal beads, leather cord, felt, stiff stuff, Ultrasuede, needle, and thread. Please click the pics for more details or to purchase on Etsy. Quantities are limited! Also, now through Sept. 30, 2013, purchase any beading kit at my Etsy shop, and receive the corresponding PDF pattern for FREE. Happy beading!